I did search for this info, but didn't do so good. I've been watching and learning from all you fine folks for sometime now, THANK YOU ALL. I am a little way into my build and am wrestling with a question. I sometimes as my wife says overthink things too much and drive myself crazy, this is one of those times. I am going to insulate my TD floor, roof and maybe walls read on. but my question is this. my walls are 1/2 marine plywood outer wall, 3/4 MDO (really stable water resistant 7 layer plywood with a fibrous material bonded to both sides) for middle wall and 1/4 Baltic birch inside wall with aluminum skin. My original thought was to skeletonize the middle wall and fill holes with 3/4 foam insulation. I have been taking a lot from Scott's workshop build (thank you so much Scott. you are indeed a craftsman) so now I am second guessing myself about the need for foam insulation in the walls, if I just leave the middle wall solid except for doors would that not work as a good insulator or is foam better for some reason? It would save me a good deal of time in the build and I would think make for a stronger wall. Weight is not a concern of mine as my tow vehicle is more than adequate. Any thoughts and ideas would be truly appreciated. And I hope to be able to add to the board in the future. Thanks again. I cringed just reading this. The weight on your tear chassis is going to be large. Rose uses 3/4" marine ply, 1x2 "studs" with 3/4" rigid filling all the voids and 1/8" birch interior skins. At that I think she's too heavy and would have loved to find 1/2" sheets of 4x10 when I built her. 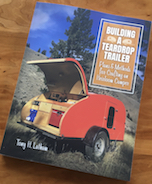 I think you’d be miles ahead to buy Steve Fredrick’s Teardrop Builders Shop Manual. Right now you are headed down the road of building a brutally heavy beast. And BTW, I fall in the camp that believes if you need to insulate your floor your mattress isn’t thick enough. Guy's, I agree on heavy, but I have a hard time with not doing overkill. I actually have Steve's manual and am following it pretty much. My design isn't a round back, but its close. The plans I came up with include lightening the middle wall,and most likely I will, I'm just second guessing myself again. I already upgraded my axle and springs to 3500 lbs. With the floor insulation deal, I can certainly see both sides, but I go to the White Mountains in NH quite often in October and early Nov, plus early spring. Temps get pretty low at times. I've woken up to 2ft of snow on trips before. Keep in mind that teardrops with walls made from 1/2” plywood have been around for decades. In cold temps the problem with teardrops with uninsulated walls is condensation. If you have voids in your walls, you could end up with water trapped inside. Even on nights down to 25F you need to have good ventilation. 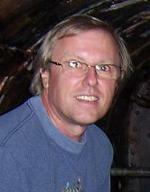 tony.latham wrote: Keep in mind that teardrops with walls made from 1/2” plywood have been around for decades. As long as you are breathing, you are raising the humidity inside the camper. This is even worse in a teardrop because of the interior volume or lack there of. Insulation helps but does not eliminate this issue. If you let the interior temperature drop below the ever rising dew point, you will have condensation. No way to avoid it. You are building an aircraft, not a tank. I would encourage you to rethink your plan. I used 1/4" on the outside, 1/8" inside, with at most 3/4" x 3/4" framing with insulation in between. My trailer still weighs 2000 lbs. 1/8" inside and outside is still overkill, but its not easy finding thinner stuff. 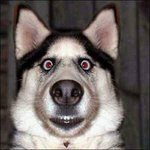 While I agree with the others that you should decrease the build weight substantially utilizing skin and core composite systems, I will try to answer your initial question. To skeletonize or leave it solid. This would really come down to a heat transfer question and be one of two options; a) the MDO has a k-factor (conductive heat coefficient) much higher than XPS (or whatever you were thinking of insulating it with) and therefore whatever value you could add would be significant and possibly worthwhile, or b) the increased mass of the MDO product will act as a ‘thermal battery’ and actually absorb diurnal swings better than low-massed, low k-factor materials. If you are camping quite often in hot climates the solid MDO could be more helpful to retain cooler wall temperatures to temper daytime highs. If you are camping in cool temperatures the insulation could do better so it has a slower transfer rate of your body heat out at night. All this to say; really consider just slapping skins on either side of a foam core (or unnecessary skeleton and foam core) and leave the expense, weight, and confusion of the MDO for a project that requires it. As also mentioned consider ventilation to prevent moisture issues. I would encourage you to look up HRV and ERV ventilation systems and see how they work and make something similar scaled (possibly with computer fans or something) to serve the same purpose. Good luck! This may make you cringe, but here is my build thread. I used no insulation and 1/4" plywood on the outside. I have camped down to below freezing and to over 100 degrees. When shore power is available I use a small 110 heater that has a thermostat and in the summer, I have a good Fantastic Fan. You seem to be way over doing what you need. Wolfgang said it best.....You are building a plane not a tank. You will also have a hard time selling a super heavy small trailer as most people pull teardrops with small cars. To be honest, Insulation in the ceiling is a better sound barrier for rain but not all that important for heat loss. I guess i'll wade in here and mention I used 1/4 on the sides with 1x battens. The roof is the common thin ply inside and out with foam insulation between. I used bright white paint and feel the white has as much or more to do with heat rejection than the insulation. Listen to the Woodbutcher. My walls are 1/2 mahogany marine ply, the roof is 1/4”. A teardrop needs air circulation which makes insulated walls irrelevant. I get some condensation on the ceiling on very cold nights with some humidity. There may be value in some roof insulation. The best way to stay warm is a down comforter. Light but high quality construction with good joinery and high quality adhesives will give a lightweight and strong TD. Mine weighs under 600 pounds and has been towed about 10,000 miles without any issues. One of my favorite builds here is the Alaskan Benroy. He's in Alaska and no insulation. That's good enough for me. azgreg wrote: One of my favorite builds here is the Alaskan Benroy. He designed it in Alaska and built it in Michigan. It has 2 inches of insulation in floors, walls, and roof. He also has built a second teardrop using a similar design. Both have been used extensively. That's good enough for me. For us, the value of insulated walls is not having to mop up the condensation on the walls with a towel. It gets that bad. The added 15º warmth on those chilly nights is just a bonus.